Maurizio Sarri is happy with Ruben Loftus-Cheek’s development at Chelsea FC this season. The England international has struggled to hold down a regular spot in the first team at Stamford Bridge this term and has also been contending with a back injury in recent weeks. However, he played the full 90 minutes and notched up an assist in Chelsea FC’s 5-0 win over Dynamo Kiev in the Europa League on Thursday night. Loftus-Cheek has only started one Premier League game so far this season but he will be hoping to hold down more of a regular spot in the first team between now and the end of the campaign. And Chelsea FC boss Sarri has insisted that he has been happy with what he has seen from Loftus-Cheek in a Chelsea FC shirt this season. 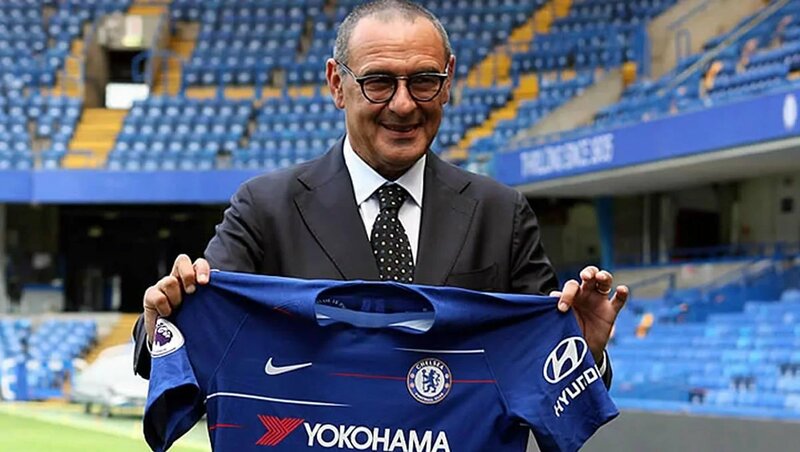 Speaking in an interview with Chelsea FC’s website before the trip to Everton on Sunday, Sarri said: “He is improving. “The most important thing in my opinion is that it has been a very difficult season, because he had problems two or three times in the same season. “Now fortunately he is able to train with continuity, and he is improving a lot in the last month. Chelsea FC are looking to try and finish in the top four this season after they ended up fifth and won the FA Cup last term. The Blues will return to Premier League action after the international break when they take on Cardiff City away from home on Sunday 31 March. They will take on Slavia Prague in the quarter-finals of the Europa League.